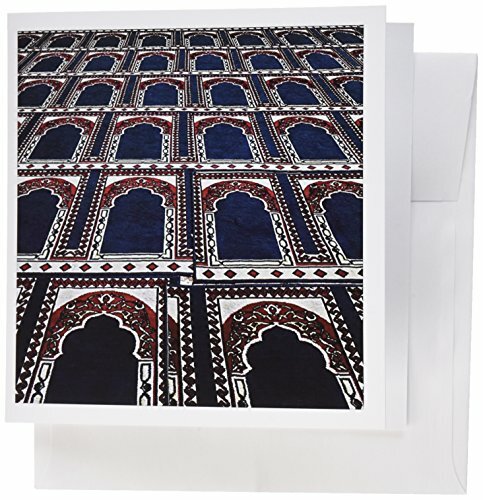 Pattern of prayer rugs, Islamic mosque, Cairo, Egypt-AF14 AJE0030 - Adam Jones Greeting Card is a great way to say "thank you" or to acknowledge any occasion. These blank cards are made of heavy-duty card stock that allows for smudge free writing. Cards are creased for easy folding and come with white envelopes. Available in sets of 6 and 12.